This iron drain in the sidewalk on Franklin St. probably dates in the range 1892-1902. The Monitor Iron Works had offices at 76-80 Centre St., New York City, during these years. The works themselves were located in Sing Sing, Westchester County. Sing Sing, now known as Ossining, for many years was the site of New York State's largest prison. It was where you get sent when you were sent "up the river." The founder of Monitor Iron Works was Ebenezer G. Blakslee, and his company, known as E. G. Blakslee & Co., iron, was listed in New York city directories from 1867 until 1892. The foundry in Sing Sing dates from around the same time. Boyd's Business Directory of Over One Hundred Cities in New York State... , 1869-70, lists, "Monitor Iron Works, E. G. Blakslee & Co. (C. F. Bunting), 179 Grand" in the Sing Sing section, and "Blakslee E. G. & Co. (Charles T. Bunting), Monitor Iron Works, 179 Grand" in the New York section. Both give the address of the New York City office, which was 179 Grand St. from 1867 to 1874. In 1867 Ebenezer G. Blakslee secured a patent for an "Improvement in Joints for Iron Pipes" (click for Google Patents page). The 1870 non-population census for industries recorded Ebenezer G. Blakslee & Co. Iron Foundry of Ossining, Westchester County, NY, as owning $30,000 capital. The foundry's motive power was steam (25 horsepower), capable of producing 11 tons of castings per day. They owned materials consisting of 400 tons of pig iron, 86 tons of scrap iron, 500 tons of coal, and various mill supplies valued at $19,650. The past year's product consisted of 275 tons of iron pipe, 100 tons of sinks, and 25 tons of stoves, with a total value of $49,000. The 1880 non-population census for industries recorded E. G. Blakslee & Sons Iron Foundry of Sing Sing, Westchester County, NY, as owning $50,000 capital and $17,000 in materials. They employed an average of 52 adult workmen and 10 children. The ordinary day's work was 10 hours. Skilled mechanics were paid $2.00 a day and ordinary laborers $1.12. Annual wages totaled $25,000. The foundry was in fulltime operations 11 months and 1 month idle. The past year's product was valued at $60,000. E. G. Blakslee's Sons' Iron Works were listed in New York city diredtories from 1888 to 1891. 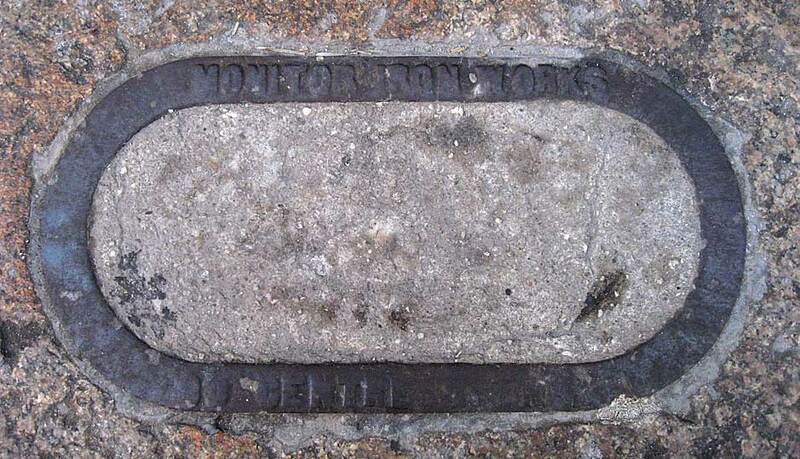 Then in 1892 the Monitor Iron Works appeared in both the city directories and the New York telephone directory. Ownership may also have changed at this time. The Blakslee name disappears from these lists after 1892. Andrew S. Dolkart in his Biography of a Tenement House in New York City: An Architectural History of 97 Orchard Street, 2007, writing about the installation of water pipes in approximately 1905 has the following, "The water pipes were manufactured by the Monitor Iron Works, a firm that was incorporated in May 1864. In 1892, the E. G. Blakslee Manufacturing Co., which manufactured iron pipe, changed its name to Monitor Iron Works. Apparently Monitor only began manufacturing water pipes after it became involved with the Blakslee firm."